Allan Herschell, together with James Armitage, created the Armitage-Herschell Company in 1873. 1888 they set up band organ production in North Tonawanda, founding the North Tonawanda Barrel Organ Factory. The company produced a range of barrel-organ based products, suited for all ranges of fairground attraction. Armitage-Herschell remained in operation until the early 1900s. The company carved many portable steam driven carousels, made simple in style. Surviving steam riding galleries are located in Mississippi and Maine. In 1901, Herschell left the Herschell Armitage Company due to financial complications. Herschell created the Herschell Spillman Company with his in-laws, the Spillmans. The Herschell Spillman company started out creating and carving carousels in a traditional style, but later branched out to create larger park machines, such as elaborate carousels with many types of animals. Surviving carousels can be found in California, Michigan, and Maryland. The company later dropped Herschell's name and was known as the Spillman Engineering Company. The company continued to make the same style of carousel, although later it focused more on horses offering a few menagerie styled machines. 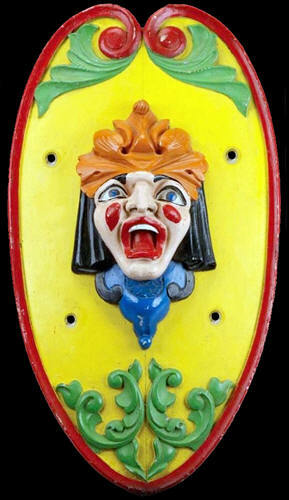 Surviving carousels can be seen in North Carolina and the Strong National Museum of Play in Rochester, New York. The last company Herschell created was his own, competing with the Spillman Engineering Company, in 1915. Herschell specialized in horses with rigid poses and portable machines, which enabled them to be packed and shipped easily between towns making them desirable for the carnival industry. Herschell produced over 3,000 carved wooden carousels of various sizes, which were shipped all over the United States and Canada, as well as other countries such as Mexico, South Africa, and India. The original factory is located on Thompson Street in North Tonawanda. It is one of the last factory complexes in the United States which contained the production of wooden carousels. The complex was expanded to meet the growing company's needs. 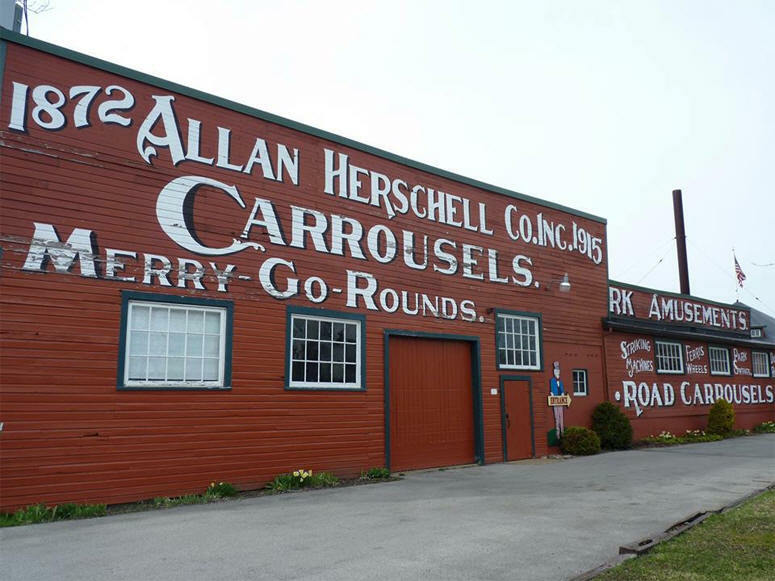 The restored building contains a large carving shop, a woodworking shop, a paint shop, a storage area, an upholstery shop, a machine shop and a roundhouse where the carousels were assembled and tested. Herschell didn't create just carousel rides, but expanded to include a variation of rides made for children and adults. He thought up the concept for rides specialized for small children while The Twister, Hurricane, Flying Bobs, and the massive Sky Wheel were all thrill rides designed for adults. The company moved to Buffalo, New York, in the 1950s, and in 1971, it merged with rival amusement ride builder Chance Manufacturing of Wichita Kansas.